For a single father who has primary or sole custody of his children, time is invaluable. For the single dad who works a nine to five, an eleven to seven, a six to six, or some other permutation of a work-a-day job, transitioning to a home-based business can provide significantly more time and parenting flexibility. Of course, a contracting domestic economy may eventually coax or may have already coaxed a single father toward entrepreneurship. Speaking of which, Entrepreneur Magazine “Businesses You Can Start at Home” provides a number of ideas including online resale, consulting, and virtual assistance, which have worked for some folks. However, eBay is saturated with garage sale product peddlers, a consultant had better have extremely valuable information to sell, and assisting an executive manager or salesperson may be more rigid in terms of time requirements than is practical for the single father who volunteers in his children’s classrooms, coaches little league, and shuttles his kiddies to and from their friends’ houses and birthday parties. A home-based business which is both in demand, is inexpensive in terms of start-up costs, and almost anyone can do is collections. 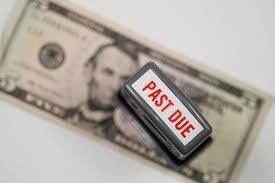 Many businesses struggle with aging debt on their balance sheet. If the business can’t collect balances from their customers through internal means, the business eventually writes-off the money as bad debt. Those accounts that have been literally “written off,” are then often bundled by the business and sold for pennies on the dollar from their original value. The buyers of those bad debt then attempt to collect the monies due from those customers and the profit are the dollars collected less the cost of the written off accounts plus expenses. For example, Sammy Single Father approaches Satisfactory Flower Company, which has $10,000 of accounts that it has written off to bad debt. Satisfactory Flower agrees to sell those bad debt accounts, including customer names, address, phone number(s), and balances, to Sammy for $1,500. Then, by making phone calls, sending letters, and other means, Sammy collects $4,000 from Satisfactory Flower’s former customers, which equates to a gross profit of $2,500, ($4,000 - $1500). There are federal, state, and sometimes local laws pertaining to collections practices, so it is important to become familiar with the “dos and don’ts” to avoid fines or litigation. Still, for minimal start-up costs, which may only include a little cash to buy the bad debt accounts, some basic office supplies, stationery, business cards, a phone line, a fax machine, a laptop, collections software (like Collector from Ideal Software), and perhaps a membership to the local chamber of commerce, collections is an easily to understand, flexible, and potential profitable enterprise. Remember, when your home-based collection agency is making the big bucks, just make sure you send my consulting fee. For now, you can owe it to me. Whatever business you are willing to start you will need a website for it. So contact web design dubai leading company for website development.